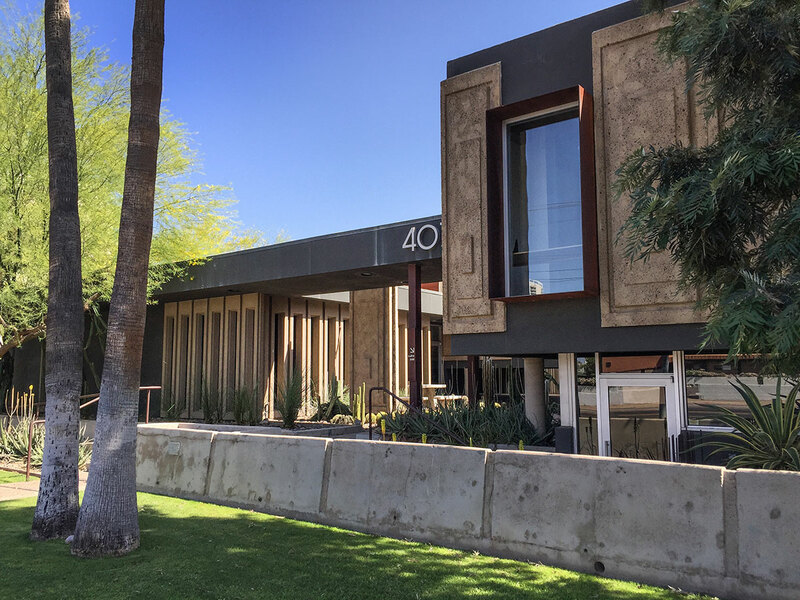 Lescher and Mahoney were one of the handful of architecture firms in Phoenix that were well established before World War II. 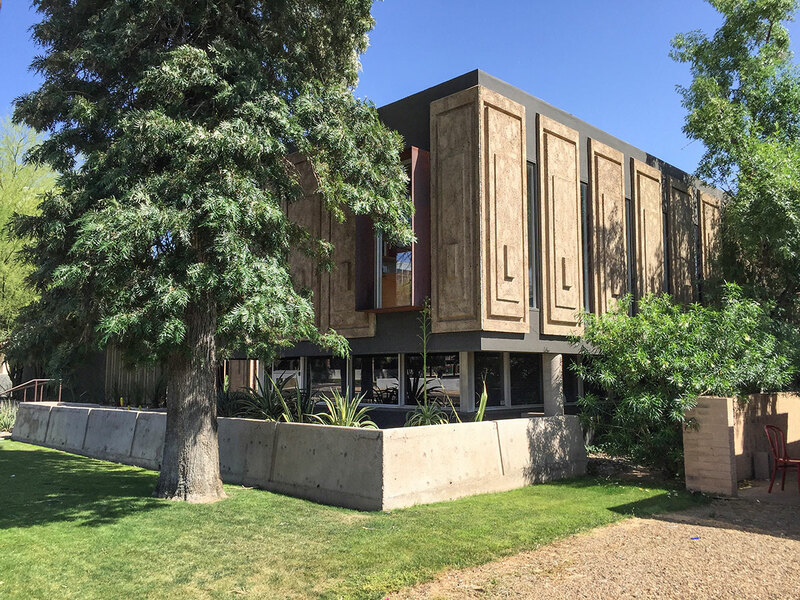 The firm continued to adapt with the times and be relevant, especially with their architectural offices on West Osborn Road. 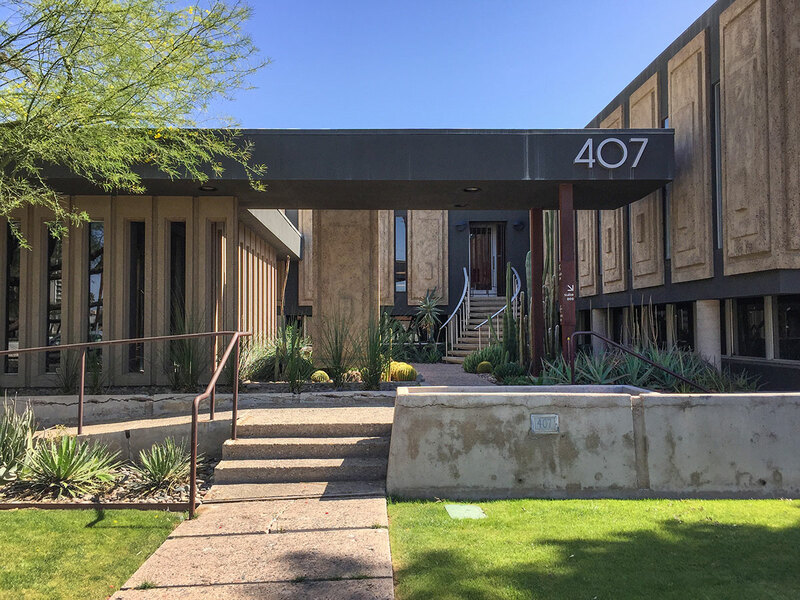 Because of its earthy artistry, this building is on the Top 25 List of the Postwar Architecture Force of Greater Phoenix. In 2014 the owners of the building were encouraged by the Postwar Architecture Task Force to list the building on the National Register of Historic Places. The stunning landscape is by the Phoenix firm Floor Associates. 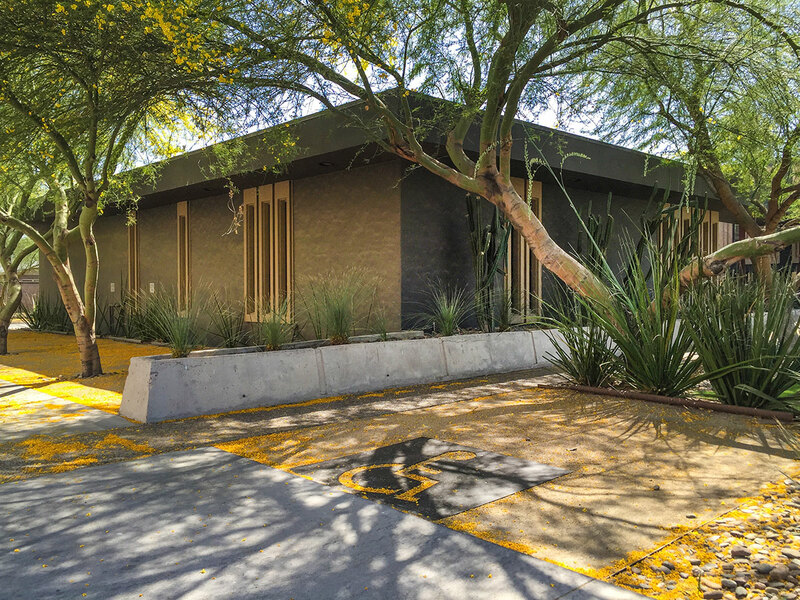 The pretty dusting of palo verde blooms is courtesy of Mother Nature each April.